There are 2 coffee shops on this block and this stall is located at the first coffee shop nearer to Thomson Road, it has only been around for slightly more than a month. They are still using the old signboard left behind by the previous owner. Their stall name is supposed to be "128 Want To Eat" and not "Every Thing Good Roasted Rice Noodle House". A few of my friends on Facebook came by and tried it, they actually think pretty highly of the roasted chicken and soya sauce chicken. An FB friend even commented that their soya sauce chicken is as good as the Michelin-starred one. It got me to be really curious and so I decided to try it out. I was their only customer when I visited during lunch on a weekday. The owner is originated from Ipoh and he is running a one-man-show at this stall. 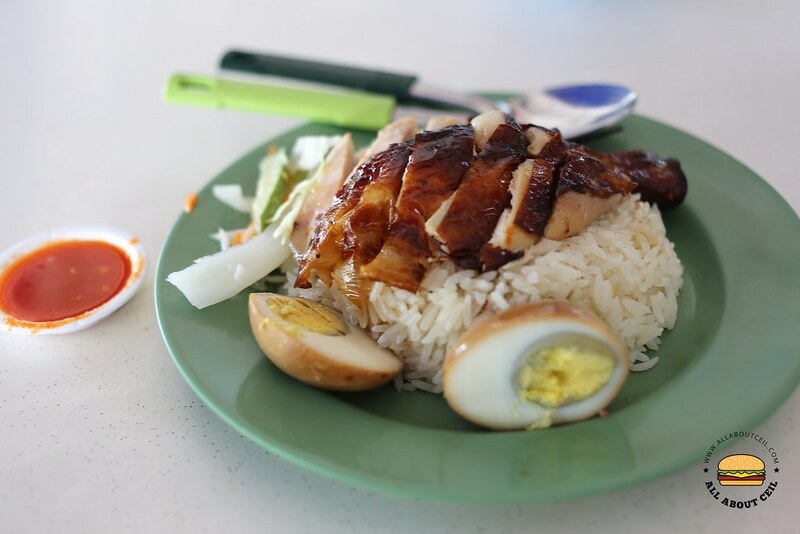 I decided to go with roasted chicken drumstick and braised soya sauce egg with rice for $4.00, which is affordable. It was served along with some plain looking achar which I left it untouched. It did not serve with a bowl of soup. The owner was extremely polite and he even asked whether do I need a receipt when making payment. I was asked to help myself with the chilli sauce at the side table in front of the stall. The rice was served plain without sauce. I was not given an option to choose so I guess it is their default way of serving it. It was quite a challenge to eat it this way as the rice was rather dry which I ended up not finishing it. The charcoal roasted chicken is not as impressive as my FB friends claimed to be, though tender but not as flavorful as expected, it was just average. I did not particularly like it. 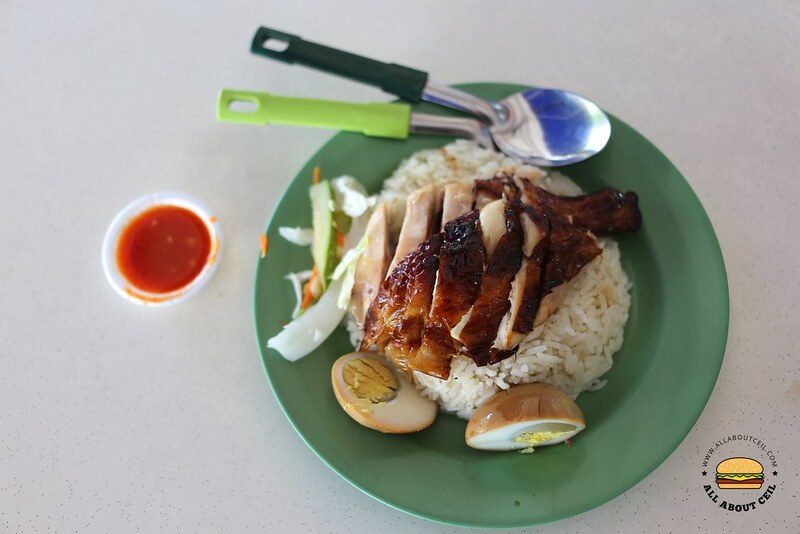 The chilli was much spicer than most chicken rice stalls and with little ginger taste. I applaud the entrepreneurial efforts behind it but the taste is really not quite there yet. 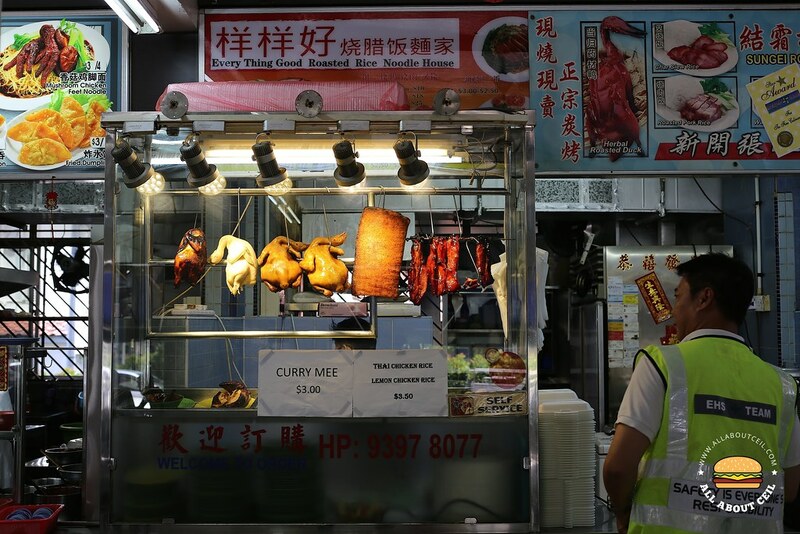 I would be curious to try their soya sauce chicken as I wonder whether it is really as good as that Michelin-starred version as my FB friend claimed to be. But, it might not be possible though as the owner has expressed his intention in giving up this stall by the end of April. NOTE: The stall has closed down.